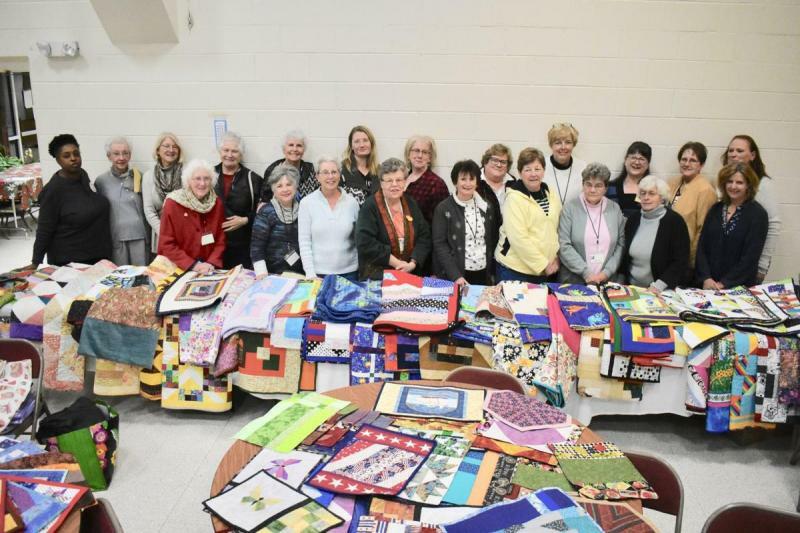 Each year the Calvert County Quilt Guild picks several charities to support. We annually support Ann Marie Gardens with a financial donation as well as participtation in their ArtFest fundraiser. We have also donated many handmade quilts to various organizations in the tri-county area such as Hospice, the Infusion Center, Calvert Memorial Hospital, and the Women & Children's Shelter. We have supported other charities like the homeless shelter and Calvert Animal Welfare League with donations of money and supplies. For 2017 we quilted and donated almost 60 quilts for CASA (foster care) children. Several other local quilts guilds joined in the effort. Link to the Calvert Recorder Article CLICK HERE. For 2018 we donated over 50 quilts to the Angel Tree Project for children and 140+ placemats for Meals on Wheels.